Add: B10 798 Art Zone Jiuxianqiao Road Beijing. Ink is an art form that is native to China, with a long-standing and well-established history that has stretched unbroken into the present. In global artistic exchanges and interactions since the beginning of the twentieth century, there has been a major evolution in the logic of ink art. In our understanding and comprehension of ink, other forms from the international art world became comparisons or mirrors for the medium. The vitality of ink lies in the continued self-reflection and diligent exploration of artists. We cannot imagine how an art form that is thousands of years old could spark new life or showcase its distinctive charms in such a rich artistic environment if it were not being deeply and completely rethought in the contemporary moment. In the last several centuries, we know that China has experienced multiple cultural collisions, shifts in national destiny, wars, and social and political movements, and the discussions and debates about Chinese ink art that took place over these centuries still linger. These arguments filled Chinese people with deep emotion as they debated diametrically opposing viewpoints and ideas. If global art in the twentieth century was a time of big changes, big transformations, and big developments, then this was also true of discussions of Chinese ink. The discussion of ink in China did not just occur amongst artists; China’s early politicians also engaged with the topic. In the late Qing period, Kang Youwei advocated for the reform of ink, and in the early Republican period, Chen Duxiu promoted New Learning. 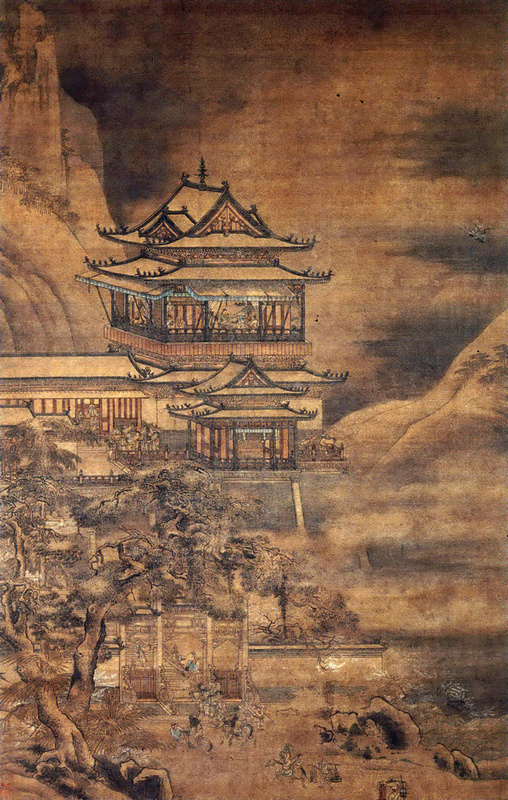 Xu Beihong, who studied in Europe early in the Republican period, also raised the issue of reforming Chinese ink painting. There was also the New Chinese Painting Movement in the 1950s, the 1980s debate about “the end of Chinese ink painting,” the controversy over whether ink and brush were the foundation of ink painting in the 1990s, and the twenty-first century discussion of New Ink. These grand debates about ink art could be considered spectacles of history. International viewers who do not understand this background may just see the results of these heated debates, or a portion of their influence on Chinese ink, so what do we need to say today? After one hundred years of molding, tempering, and re-understanding ink art, the medium has risen like a phoenix. Its roots can be found in the land of the East, and there is a group of people who truly understand themselves, reside with all things in the universe, and deeply believe that ink is the source of life. They adhere to the cultural underpinnings of ink, the connections between ink and their individual values, and the inherent and inseparable relationship between ink and human nature. Most importantly, China has a group of people outside the mainstream system who have not abandoned their strong living will as Chinese people in continuing to drive the vitality of ink. Here, we do not want to demonstrate ink’s place as an artistic language or form, supported by its brushwork, compositional structures, and painting theories. We do not want to say that new art theory has been proposed, which will break through the restrictions of the medium, and we don’t want to talk about ink’s broad absorption of the creative methods of modern art. Instead, what we want to do is elucidate ink’s inherently Chinese value: freedom. If you are still nourished by the faith of remote antiquity, if you still accept that “Heaven, in its motion, gives strength. The superior man, in accordance with this, drives himself to ceaseless activity,” and if you have not become ensnared by the infusion of discourses of power, then we discover that ink has become a lifelong pursuit for the Chinese people. The freedom of the vast universe exists within these small paintings. 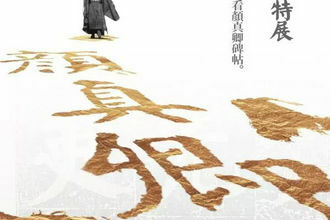 Ink has meaning not only for single works; it is a haven of mood, understanding, and individual life for the Chinese. In the twentieth century, the Chinese people have endured the tragedy of national crisis and the pain of cultural fissures and intellectual erosion, so ink became the last refuge for Chinese people pursuing individual freedom. Here, freedom is neither tied to intellectual suppression nor tarnished by outmoded and rigid ideas; it is a freedom that grows from the mud but remains unsullied. It is a freedom that shows pity for all living things on earth. It is a freedom that reconciles mind and heart. It is a freedom that does not rebel against the laws of nature and the Dao. It is a freedom that connects to universal human values. Freedom is always accompanied by constraints, and precisely because of this, we have the twentieth century’s long-standing disputes about the medium and a true ink that is not tied to the vulgar world. The freedom of ink is not bestowed by the kindness of heaven; it can only be refined in suffering. The freedom of ink lies entirely in the indomitability of the human spirit, the freedom of the soul, and insight into the mysteries of one’s time. If freedom is a natural property of man and a natural requirement for human interaction, then ink as an art form provides this possibility, the possibility for the artist to enter a space of freedom. However, ink art has the world’s largest creative cohort, and due to the simplicity of the tools of ink, brush, paper, and inkstone, an unprecedented number of people are making ink paintings. They come together to create a seemingly endless landscape, but this doesn’t entirely explain the freedom of ink, because truly free ink must be refined over a lifetime. It is not simply achieving mastery or even skilled proficiency; it is achieving refinement and elevation through ink. We pursue a free mode of ink for the freedom of living values. Ink is not a pastime; it is an art form with both joy and pain. It is a medium that makes you look up to heaven and breathe in your destiny. If we understand the meaning of the twentieth century for China, then we profoundly understand ink’s meaning for China and its rich subtext. Here, the freedom of ink that we promote must be past and future ink, and not the superficial ink of the present, focused on fame and fortune—that kind of ink ruins the true value and living meaning of ink. Life needs to nurture unrestrained vitality amidst calm, lightening the weight of life. With the developments in art in the twenty-first century, we looked back to the East, while keeping an eye on the world. Ink is no longer isolated, no longer cursed; it has begun to reveal its intrinsic meaning—only then is the freedom of life valued. Only the freedom of life can create the freedom of ink, maintaining a living foundation for ink art. Based on this, we have curated four editions of “Boundary of Freedom: Chinese Contemporary Ink,” which have traveled to Basel, America, and Asia, bringing Chinese contemporary ink to audiences in China and abroad. Viewers from around the world have been amazed by the wonderful products of contemporary ink and their extraordinary aesthetic qualities, linguistic expressions, and conceptual explorations. 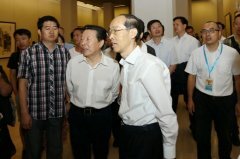 We have now curated the fifth edition of “Boundary of Freedom,” subtitled “Chinese Contemporary Ink Towards Europe.” We are presenting a distinctly Eastern art, but one that is entirely different from classical Chinese painting, to the Italian public, a people with a similarly long artistic history. 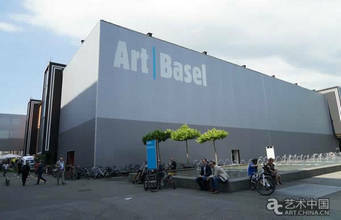 The unique quality of this exhibition could be considered a new territory in the spectacular world of international art; it will break with people’s understanding of traditional ink art, adding new elements to the inherent richness of contemporary art. Through the work of these two dozen artists, we see that the narrative structures of history can take on another logic; there is a richly creative artistic existence outside of our familiar visual experience. 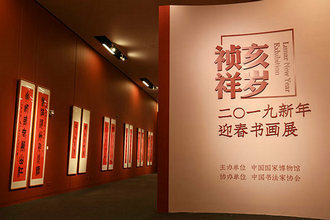 We hope to engage in dialogue with international art through the wide exhibition of Chinese contemporary ink art. We have used the individual creations of these artists to reveal the relationship between Chinese contemporary society and Chinese people, exploring how an art form with a long history can evolve and regenerate in an era of globalization. More importantly, through these contemporary ink works, viewers will come to appreciate China’s cultural position and explore human-centric ideas in Chinese culture.